My love affair with plums continues at this time of the year. Satsumas and ruby blood plums are my favourites. 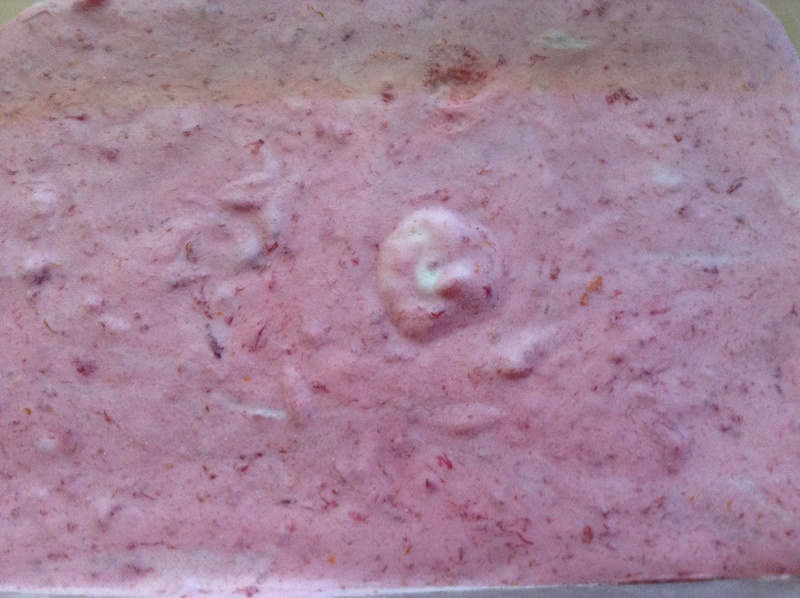 I found this recipe in the West Australian a few weeks ago, a recipe from Marg Johnson for a raspberry ripple no-churn ice-cream. One of my friends doesn’t like raspberries, so I decided to use stewed plums instead. Et voila! Beautiful flavour, very easy to make and no need to get the ice-cream out of the freezer every 2 hours to give it a whip. Stir the plums with half the sugar, then add the Cointreau, orange rind and juice. Beat the egg whites to soft peaks and then gradually beat in the remainder of the sugar to form a soft meringue. Fold together the plum mixture, cream and meringue. Turn into a container and freeze. Marg Johnson says “if you wish to make it another flavour then substitute the same amount of another well-flavoured fruit”. For raspberry ice-cream, mash the raspberries with half the sugar before adding the rest of the ingredients. I think I will try a piña colada ice-cream with pineapple, rum and coconut.